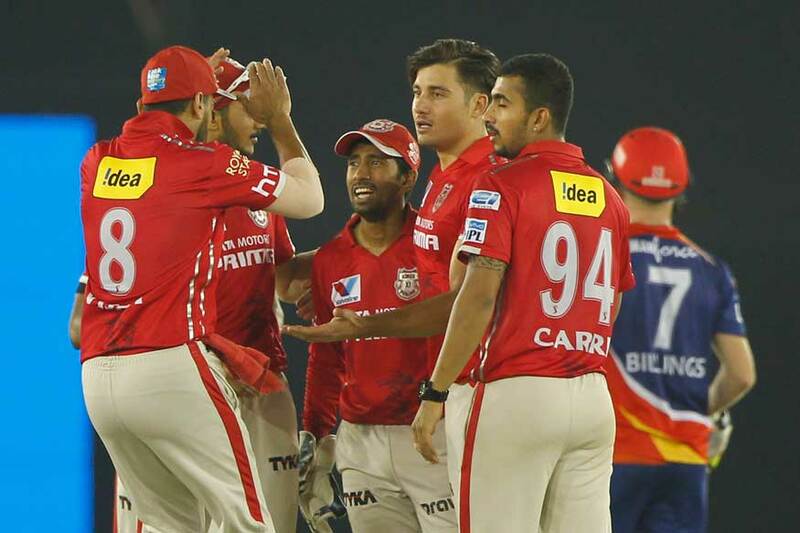 Today’s the match between Kings XI Punjab and Delhi Daredevils was full of action. It was held in Mohali. The toss was won by Punjab and they opted to field first. Players in Delhi Daredevils: Gautam Gambhir (c), Shreyas Iyer, Sandeep Lamichhane, Manjot Kalra, Glenn Maxwell, Amit Mishra, Mohammed Shami, Chris Morris, Colin Munro, Shahbaz Nadeem, Naman Ojha, Rishabh Pant, Harshal Patel, Jason Roy, Vijay Shankar, Prithvi Shaw, Rahul Tewatia, Jayant Yadav, Abhishek Sharma, Avesh Khan, Trent Boult, Daniel Christian, Sayan Ghosh, Gurkeerat Singh Mann. In the first over was bowled by the captain himself. Ashwin did the first over. Initially the pressure was put up by the blowers which were visible from the start. In the 2nd over, DD’s first wicket was taken by Mujeeb Ur Rahman. Then as Gambhir entered the ground, he took the team 39/1 till the 5th over. In the sixth over DD crossed 50 runs and with that Iyer was knocked out by Patel. By the end of 10th over, DD’s scorecard was 77/3. In the 12th over Gambhir completes his half century in 36 balls. In the 13th over the match took an interesting turn when Pant slammed 16 runs and after that he got out. This took DD to 111/4. In the 14th over Gambhir gets out of the pitch making 55 runs. In the 13th over, Ashim gets Tewatia out, which took Delhi to 125/6. By the end of 20th over, Delhi Daredevil set a decent target of 166/6. Players in Kings XI Punjab : KL Rahul (wk), Mayank Agarwal, Karun Nair, Yuvraj Singh, David Miller, Marcus Stoinis, Axar Patel, Ravichandran Ashwin (c), Andrew Tye, Mohit Sharma, Mujeeb Ur Rahman. The opening was done by KL Rahul and Mayank Agarwal. From the first over it was a easy match for Kings XI Punjab as in the first 5 over Rahul scored his 50 which was the fast fifty. In these 5 over he got out and in the 3rd over Mayank Agarwal got out. By the end of the 6th over Punjab was on 73/2. Then Yuvraj Singh and Karun Nair took the pressure of chasing 166 runs. By the end of 9th over Punjab’s score was 97/2. In the 9th over Yuvraj got out and the score was 97/3. On the first ball of the 11th over, Punjab scored 100 runs. With the help of Nair’s concentration and dedication, Punjab was reaching its target of 167 in a nice manner. On the second ball of 15th over Nair completed his 50 runs and the team total was 138/3. In the same over he got out. Though the match was in the hands of Punjab but anything can happen in this T2o game. With the help of Marcus Stoinis and David Miller the team won by six wickets. This was a great start for the Kings XI Punjab.